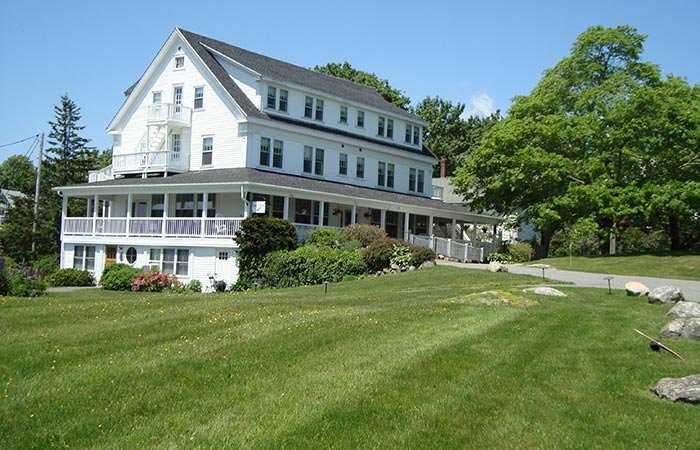 The East Wind Inn is about 4 hours northeast of Boston and less than 2 hours from the Portland airport. From the south, take I-95 to Portland, then take I-295 north; exit I-295 at Brunswick (Exit 28) or at Topsham (Exit 31) and take coastal U.S. Route 1 North. Follow US Route 1 north to Thomaston. Travel south on Route 131 for 9 miles or so. Watch for the VFW and Post Office on the left in Tenants Harbor. The East Wind is an easy, scenic 1.5 - 2.0 hours from the Portland Airport, or about 4.0 hours from Boston's Logan Airport. You can take a 45 minute shuttle flight on Cape Air from Boston's Logan International Airport to Knox County Airport, Owls Head. (Airport Code: RKD). Airport is approx. 15 minutes from the East Wind. Flying here yourself? Click here for airport/FBO information for Knox County Airport (4,000 & 5,000 ft. runways). For additional information, visit the Real Maine travel page.